A real masterpiece. 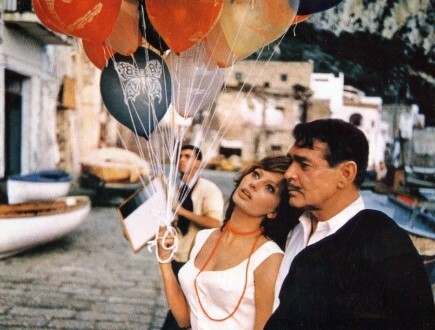 But above all the film that marks the return of Ischia in the cinema that counts, after years spent between hilarious b-movies and real obsessions ( here a focus on those years ). We talk about ‘The Talent of Mister Ripley’ , a work of 1999 directed by Anthony Minghella and taken from the homonymous novel by Patricia Highsmith. 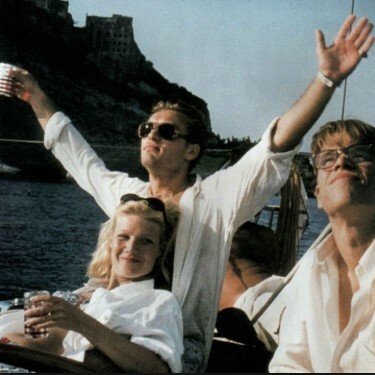 Forty years later, the “noir” events of Tom Ripley, interpreted in 1960 by Delon and now by Matt Damon, return to the green island . With him a stellar cast, composed by Gwyneth Paltrow , Jude Law , Cate Blanchett and the late Philip Seymour Hoffman. Location: Ischia Porto, Ischia Ponte, the Aragonese Castle, the private beach “Bagno Antonio”, Palazzo Malcovati and the area in front. In the filmic fiction Ischia becomes the Mongibello described by Patricia Highsmith in the novel of the same name. Here too many islanders, at least a hundred. CURIOSITY: in the days of filming on the green island, a very young Jude Law strolled quietly through the streets of the center of the town of Ischia, mingling with the crowd. A scene now unthinkable for the actor recently starring in the series “The Young Pope” and that at the time of “The Talent of Mister Ripley” lived the beginnings of a career then full of satisfactions. THE PLOT. Tom Ripley (Matt Damon) is a young American with remarkable singing skills and good at playing the piano. Educated but at the same time a liar, the young man is contacted by a wealthy ship owner who asks him to convince his son Dickie Greenleaf (Jude Law) to go back home to is family in New York. Dickie’s father Mr. Greenleaf pays Yom Ripley (Matt Damon) $1,000 and provide him a round trip ticket aboard a Cunard Lines Steam Ship to Napoli. So Tom reaches the fictisious town of Mangi Bello (ISCHIA) and is fascinated by the World tha Dickie live in. 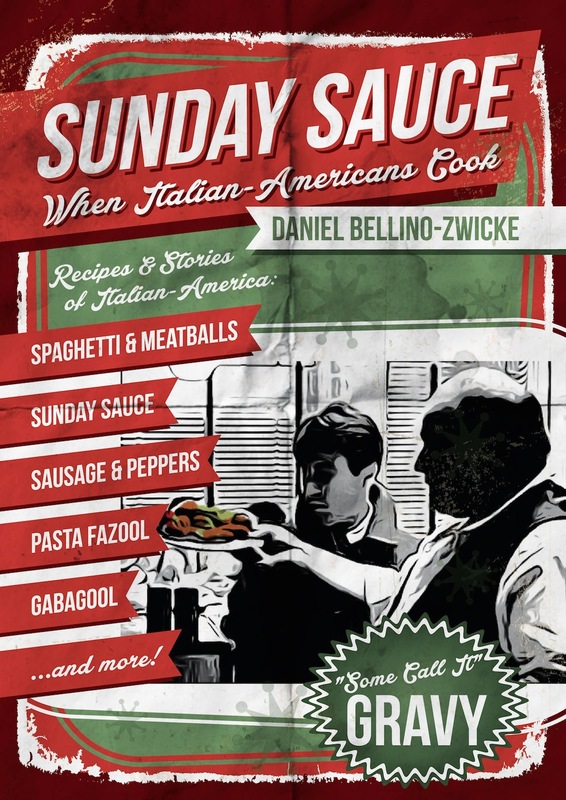 Things get bad after a trip to San Remo, where the Tom enters a vortex of lies and murders. 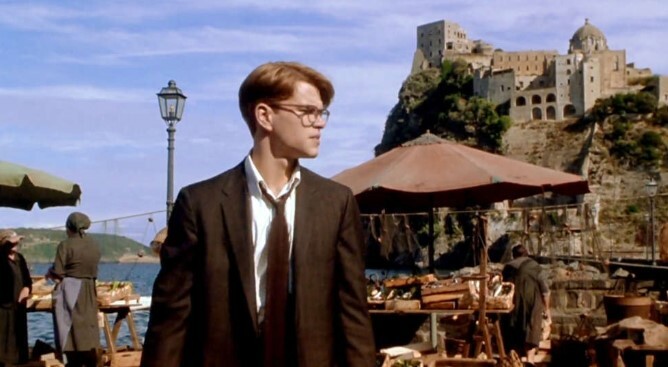 The town scenes of the fictisious town of “Mangibello” in the film The TALENTED Mr. RIPLEY were shot on the island of PROCIDA, while some scenes that were supposed to be the town of Mangibello were shot on ISCHIA.